Bengough’s Annexe in Breadstone, Vale of Berkeley sleeps 6 people. 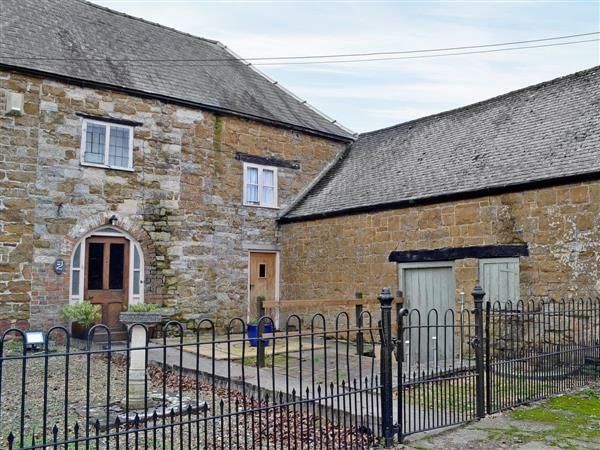 This listed 17th-century wing of a farmhouse is furnished to a very good standard and retains many period features including beamed ceilings, open fireplace and traditional cottage stairs. Now a commercial livery yard, the farm is in a rural position at the end of a country lane near Breadstone village, close to Berkeley Castle. It provides an ideal base for a holiday visiting Slimbridge, the world famous Badminton Horse Trials, Cheltenham Gold Cup, Cheltenham racecourse, Gloucester and the Cotswolds. Shop 3 miles, pub 2 miles. Ground floor: Living room with beams. Dining room. Kitchen. First floor: 3 bedrooms: 2 double, one leading to 1 twin. Bathroom with bath, shower cubicle and toilet. Low ceilings throughout. Open fire in living room (initial fuel included Oct-Mar). Night Storage Heating, electric, bed linen and towels included. Cot. High-chair. Satellite TV. Video. DVD. CD. Electric cooker. Microwave. Washing machine. Tumble dryer. Dish washer. Fridge/Freezer. Use of tel. Garden and furniture. Ample parking. NB: Natural pond in garden. Holidays at Bengough’s Annexe run from Saturday to Saturday. For a better idea of where Bengough’s Annexe is, you can see Bengough’s Annexe on the map below. Bengough’s Annexe is in Gloucestershire; should you be on the lookout for a special offer, you can find all the special offers in Gloucestershire. It's always worth checking to see what is on offer at the moment. Do you want to holiday near Bengough’s Annexe (64028), you can see other cottages within 25 miles of Bengough’s Annexe; have a look to find your perfect holiday location.